Chelsea is originally from a small village called Pleasantville, NY and is a Senior here at the University of Maryland. As part of the A. James Clark School, she is a Civil and Environmental Engineering major with a focus in Project Management and Transportation Engineering. Chelsea has been an active sister since the Spring of 2011 and is excited to take on a larger role for our chapter. Outside of AΩE, Chelsea is a Campus Tour Guide as well as a Selections Committee Head for prospective tour guides. She also loves to dance, decorate cakes, and spend (what free time she has) with her friends. She also has a huge obsession with West Highland White Terriers, especially her own named Sparky! She looks forward to the upcoming school year and all the new ideas she and her board will be bringing to the chapter! 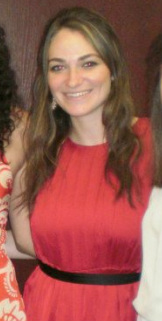 Alex is a Junior Bioengineering major from Potomac, MD and has been an active sister since the Spring of 2011. Outside of the sorority, Alex does research in the Cell Biophysics Lab and is a member of the Society for Biological Engineers. In her spare time, she enjoys playing soccer and basketball, watching tv, cooking and baking, and hanging out with friends. She is obsessed with her dog, Koukla, and loves showing everybody new pictures of her on a daily basis. Alex is eager to be an active board member and make an impact on the sorority this year! Spenser is from Columbia, MD and is a Senior at the University of Maryland. Spenser is pursing a degree in Civil Engineering with a focus in Project Management. 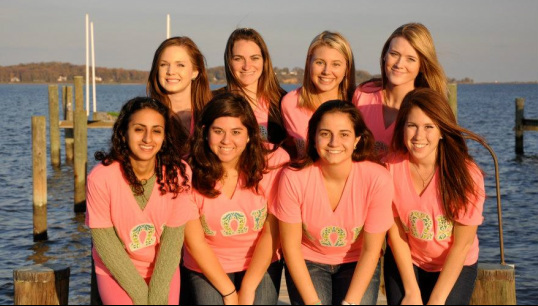 Spenser has been an active sister of Alpha Omega Epsilon since Spring 2011. Outside of the sorority, Spenser is a member of Chi Epsilon, the Civil Engineering Honors Society and ASCE, the American Society of Civil Engineers. In her spare time, she enjoys dancing, keeping up with the latest fashion trends, and spending time with her friends and family. Spenser is eager to put her organizational skills to good use by taking meeting minutes, attendance and performing other administrative tasks for this sorority. Sudi is from Bethesda, Md and is a Junior Chemical Engineering student at the University of Maryland. She has been an active sister of AΩE since the Fall of 2010. She does research on-campus in the Bioengineering department with the Biomolecular Modeling Group, where she has worked since the Summer of 2011. In her free time, Sudi enjoys playing the violin, exercising and performing random acts of kindness. Sudi is very excited to be a part of the board and have the opportunity to plan more fundraising events! Amanda is from North Potomac, Maryland and a Junior here at the University of Maryland. She is studying Civil Engineering, with a concentration in Environmental Studies and is pursuing a minor in Project Management. 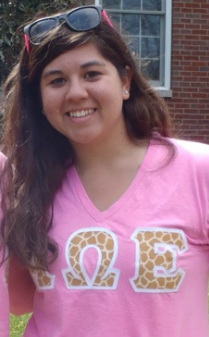 Amanda has been an active sister of Alpha Omega Epsilon since Fall 2011. Outside of A.O.E. 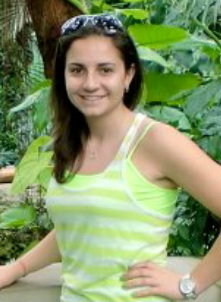 Amanda is a member of ASCE and is hoping to rejoin the Club Soccer team next semester. She also loves being outside, watching and playing all sports, baking, playing with her puppy, having fun with her friends, laughing, and spending time with her family. Amanda is very excited to meet the candidate class in the spring and lead them all to loving Alpha Omega Epsilon! Brianna is a Junior Aerospace Engineering student on the Astronautic track at the University of Maryland and is from Annapolis, MD. Brianna has been an active sister since the Spring of 2011. Besides for the sorority, She is also a member of Maryland's chapter of AIAA (American Institute of Aeronautics and Astronautics), Clark School Ambassadors, and does research on campus in the Space Systems Lab working with payload balloons. She loves crafting, baking, and swimming in her spare time. Brianna is really excited to be historian for the sorority this upcoming year! 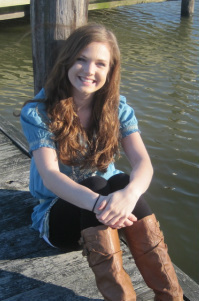 Kristen is from Prince Frederick, Maryland and is a Junior Bioengineering student at the University of Maryland. She has been an active sister since Fall 2011. Kristen is the Fundraising Chair of Maryland Wishes, a student organization that raises money for the Make A Wish Foundation, and also bartends at the Clarice Smith Performing Arts Center on campus. She's a vegetarian and loves animals (especially cats), coffee, and dancing. Kristen is really excited to plan events that will bring sisters even closer together in the upcoming year! Laura is a Junior Bioengineering Student at UMD, and she is from Philadelphia, PA. Laura has been an active sister since Spring 2011, and loves all of her A.O.E. girls. She is also a researcher in the Cell Biophysics Lab on campus, and is studying the regeneration of spinal cord axons in lamprey tissue. When she is not in the lab, Laura is a member of Ballet Company M, which is the only ballet company on campus. She also recently traveled to Australia, with the Engineering Study Abroad trip and is determined to live there again someday! In her spare time, she likes to hangout with her friends and watch a TON of TV.